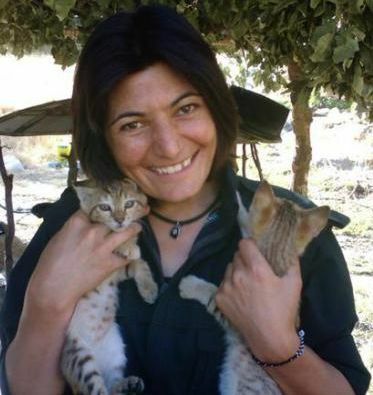 Zeynab Jalalian, a Kurdish female political activist, has been jailed indefinitely by the Iranian regime since 2007. Zeynab was arrested in the city of Kermanshah (in Iranian Kurdistan), and was transferred to the Intelligence Ministry’s detention centre. In January 2009 Zeynab was sentenced to death by Kermanshah’s so-called Revolutionary Court for being a mohareb (‘an enemy of God’) because of her alleged membership of Party For Free Life of Kurdistan (PJAK), a Kurdish opposition group. Her death sentence was confirmed by the Supreme Court on November 26th 2009 during a trial held behind closed doors and lasting just a few minutes. Before her sentence, she was held in a Ministry of Intelligence detention facility for many months and repeatedly tortured. During this time her family had no information about her whereabouts. Later the death sentence was commuted to life imprisonment. 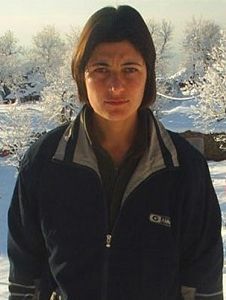 In addition to the unusually cruel treatment that all political prisoners in the Iranian regime’s prisons receive, Zeynab Jalalian has been moved to jails in many parts of the country, thus making it difficult for her family to visit her – and for those who defend and support her to follow the latest developments in her case. Since being detained aged 25, Zeynab has been held in Kermanshah’s Ministry of Intelligence detention facility, Tehran’s notorious Evin jail, Kermanshah’s Dizel Abad prison and now Khoy. Since Zeynab is originally from Maku, in Azerbaijan province (north-western Iran), she has made many requests to be transferred to Maku prison to be near her family. All her requests have been rejected. Now 34, Zeynab’s continuing imprisonment and maltreatment have meant that her health has seriously deteriorated. Ever since May 2014 there has been grave concerns that Zeynab is in danger of losing her eyesight. The case of Zeynab Jalalian is one of the handful that the Shahrokh Zamani Action Campaign (SZAC) is currently publicising to highlight the plight of all political prisoners in Iran.